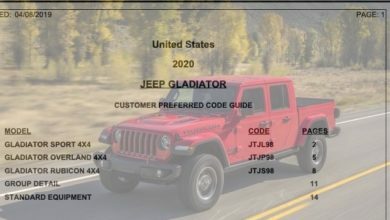 We’re just hours away from the highly anticipated midnight release of official pricing information but an early publication of a first drive review of the 2020 Jeep Gladiator Rubicon may have just revealed pricing for Rubicon model in addition to fuel economy numbers! 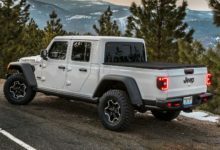 MotorTrend just released an article praising the many features and capabilities of the JT Gladiator while also listing estimated pricing as $44,000 (base Rubicon) and $56,000 (optioned, as tested Rubicon) and the fuel economy is listed as 18/23/20 MPG (city/highway/combined). 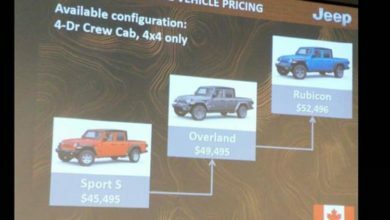 Given the timing of this article and the fact that media outlets are currently in possession of embargoed pricing and other information (to be released tonight) it’s highly likely that the Jeep Gladiator pricing and MPG figures in the article are accurate. 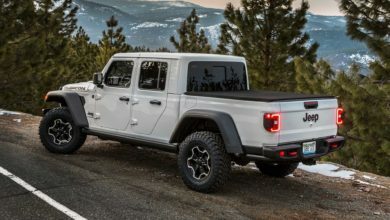 Check back in tonight at midnight to find out!